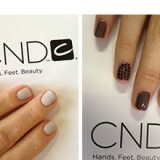 CND consists of two brands: Shellac and Vinylux. Shellac is a breakthrough, patent-pending UV technology that combines the ease of polish with the permanence of gels. On like polish, wears like gel, off in minutes. Vinylux is a revolutionary weekly polish system offering durable, high-shine and week-long wear. It has a self-adhering colour coat and eliminates the need for a base coat. 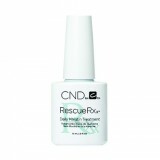 RescueRXX™ is a highly effective new treatment that repairs damaged nails with the power of keratin protein and conditioning jojoba oil. In just one week 70% noticed nails felt thicker. 80% said white spots were less noticeable and 80% felt the condition of the nails were noticeably improved. Price: R359 Availability: Selected salons.